Hello and welcome to a new little series I am hopefully going to be starting. As someone who is not at all very good with money, I’m always on the hunt for drugstore alternatives to my favourite high end products. Foundations have always been a tricky area for me, my skin is predominantly oily but doesn’t like it if I use foundations for oily skin on it. I dunno what it’s doing either. 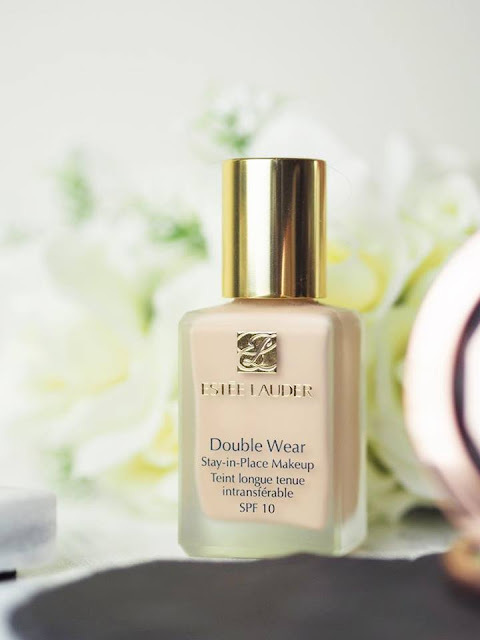 A foundation that’s very well loved within the general female community is Estee Lauder’s Double Wear – and for good reason. This gives me coverage like nothing else does, it’s my number one go-to on tricky skin days and it’s one of the only foundations I’ve found that doesn’t completely disperse on my face and end up looking like trash after a few hours of wear. It would be the perfect foundation – if it weren’t £30. I’m incredibly reluctant to wear a nice, expensive foundation to somewhere as tedious as work so I’ve been on the hunt for one that performs almost as well but for a fraction of the price. 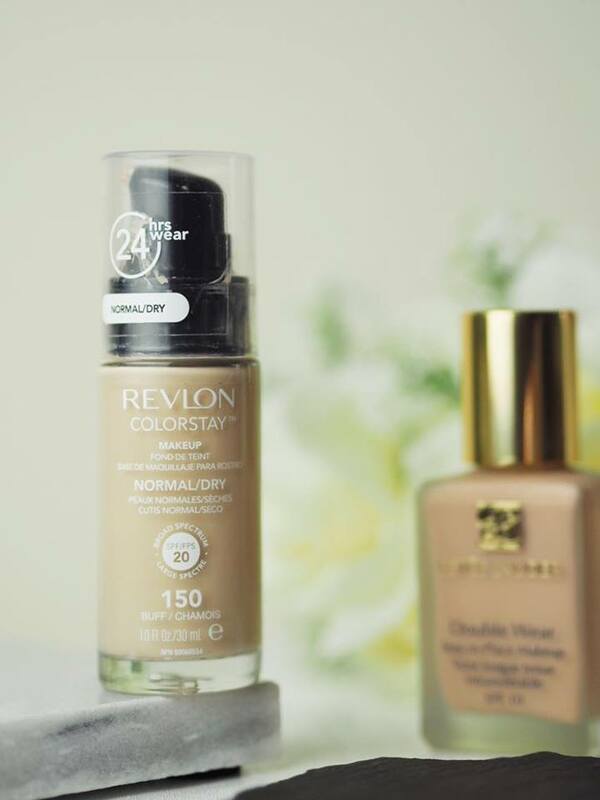 A relatively popular dupe for Double Wear is Revlon’s Colorstay foundation. I’ve tried both formulas (oily/combination and dry/normal) and can now conclude that this is as close as I will get to Double Wear perfection. Of course, being the idiot that I am, I bought these in 2 different shades so I can actually only wear the dry/normal formula unless I want to look like I have a face that hasn’t seen sunlight since 2008. It all worked out for the best though because this is the formula that, surprisingly, works best with my skin. Just like with Double Wear, I apply it with a damp beauty blender and use an LA Girl translucent powder to set it. 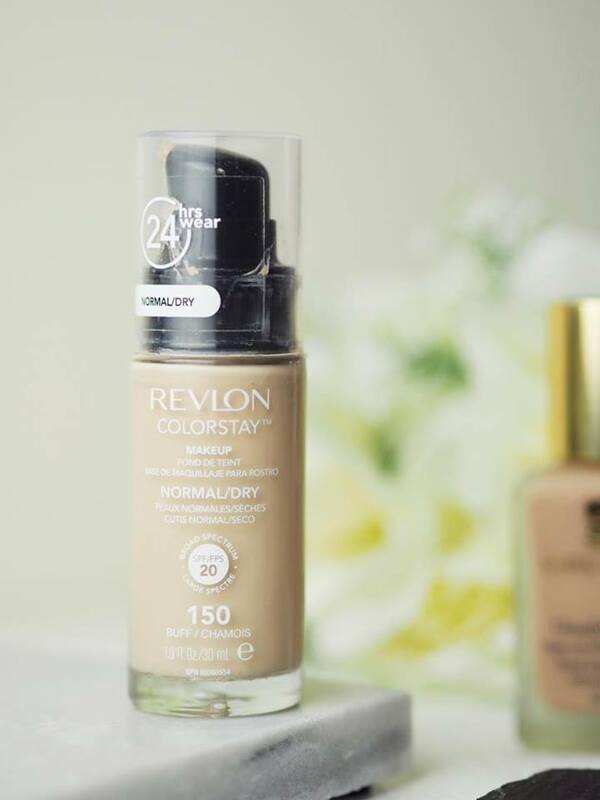 The coverage with Colorstay is almost just as good once I’ve concealed any spots – it’s slightly lighter but definitely buildable. 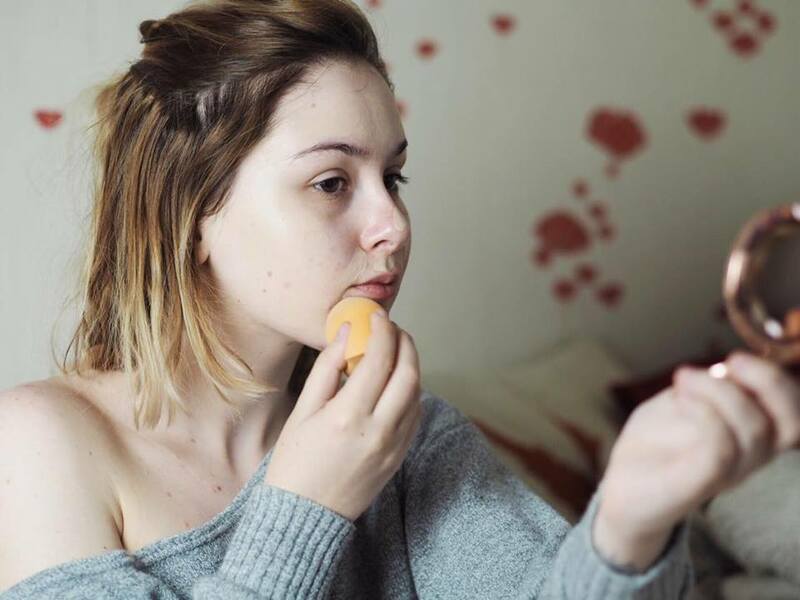 The staying power is definitely on par for me, like with every foundation, the oiliness on my chin starts to show through after a few hours but it never just falls off my face like other foundations have. Plus, it’s only £13 which is better than half the price of Double Wear. The shade range is also very diverse for a drugstore foundation, usually you find they only have 6 or 7 shades and don’t accomodate for dark or light skintones at all but as with Double Wear, they have a number of shades available for all skin tones. The packaging for Double Wear is admittedly much nicer than that of Colorstay – the frosted glass bottle and gold lip made it a bloggers dream to photograph. You can tell Colorstay is a drugstore foundation, it just has that kind of look about it. But Colorstay has a pump! Which is more than I can say about Double Wear. I always always always pour out way too much Double Wear and it makes my heart cry every time. I’m fairly chuffed that I’ve now found a decent foundation, meaning I don’t have to waste any more Double Wear on unimportant events like work and lazing around the house and my bank balance feels a little happier when I do my makeup. If you’re considering a dupe for Double Wear I would highly recommend you try out Revlon Colorstay – it’s perfectly suited to my needs and you never know, it might suit yours too.